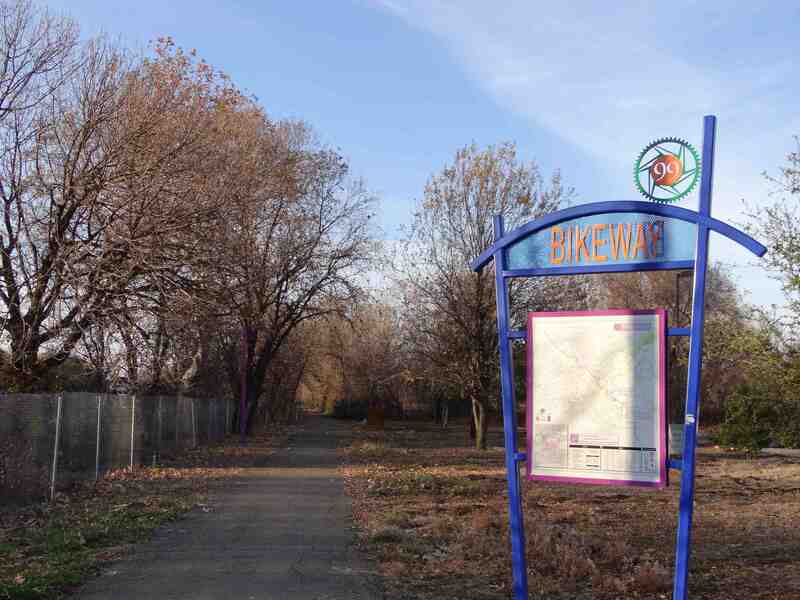 The Chico 99 bikeway, which parallells the highway, runs through the Ponds. 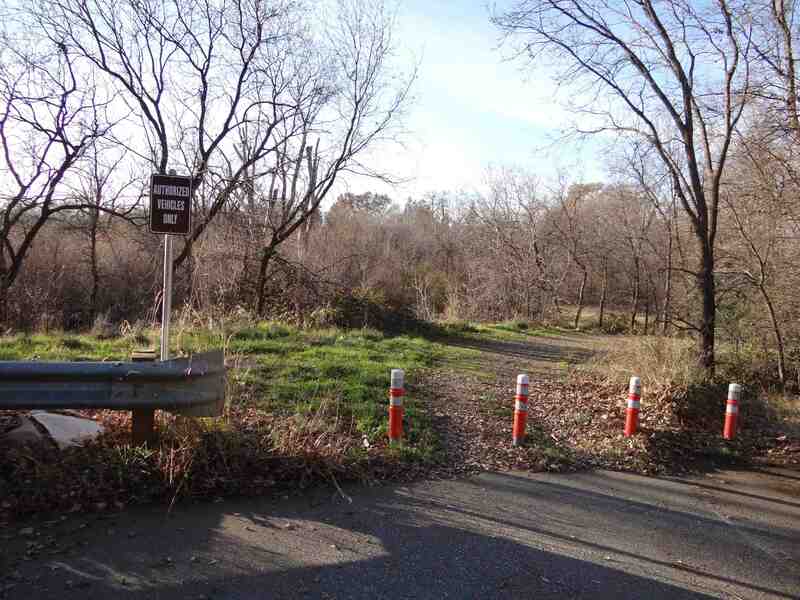 The paved path connects to the Humboldt Road bike path with a bridge across Little Chico Creek. This sign is behind Lowe’s, near the Chico Mall. Photo by Jon Aull. 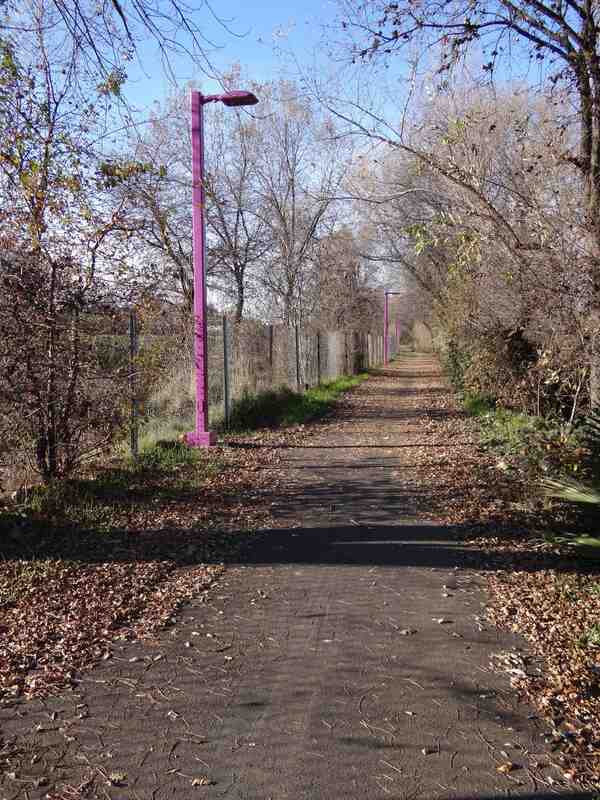 The path along the highway is brightly lit with colorful LED streetlights. Photo by Jon Aull. 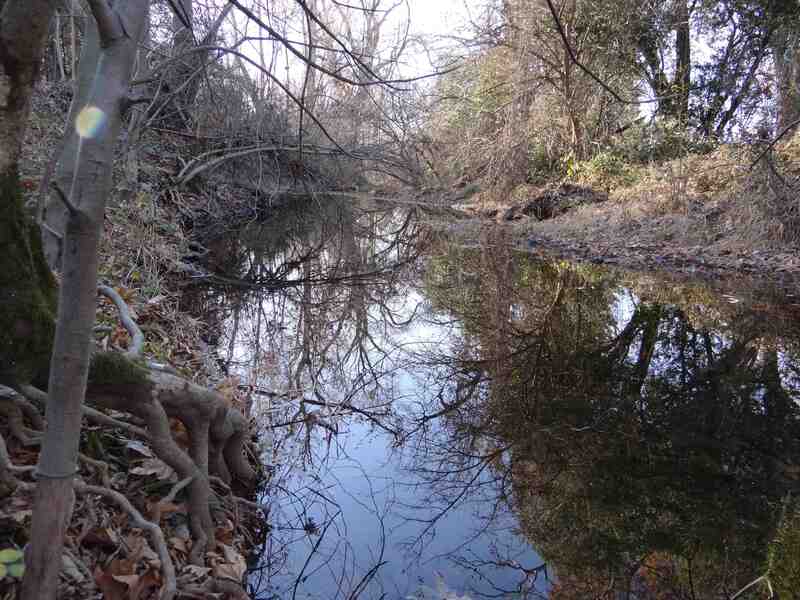 There are a few access points to Little Chico Creek, which is mostly dry in summer. Photo by Jon Aull. 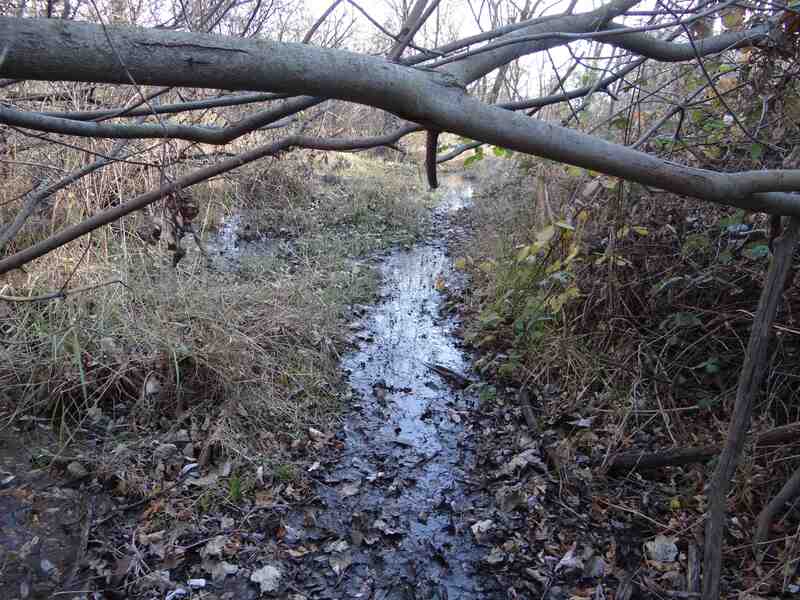 Winter creates muddy conditions, limiting access to side trails between the ponds. Photo by Jon Aull. 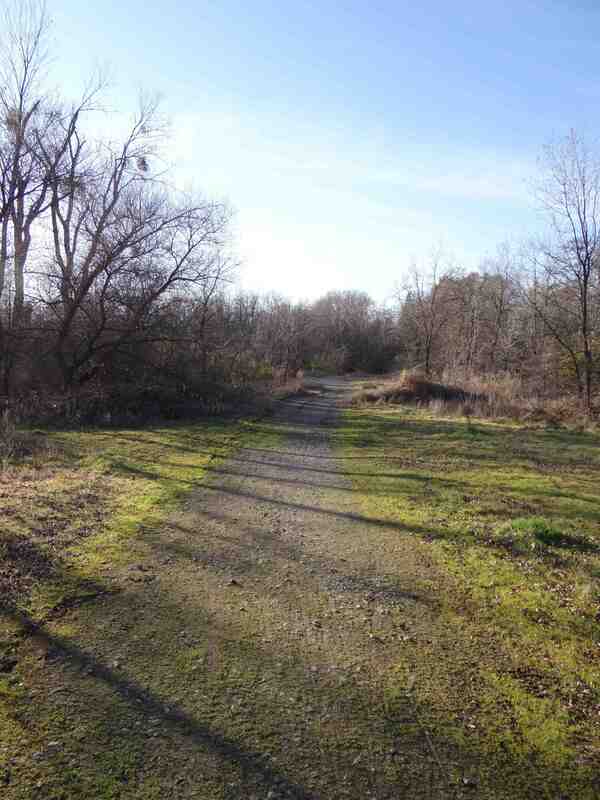 The paved path turns into a gravel road, mostly passable although it can be muddy in spots in the winter. Photo by Jon Aull. The L-shaped path around the Ponds ends at Creek Hollow and Ridgebrook Way in the Heritage Oaks subdivision. Photo by Jon Aull.